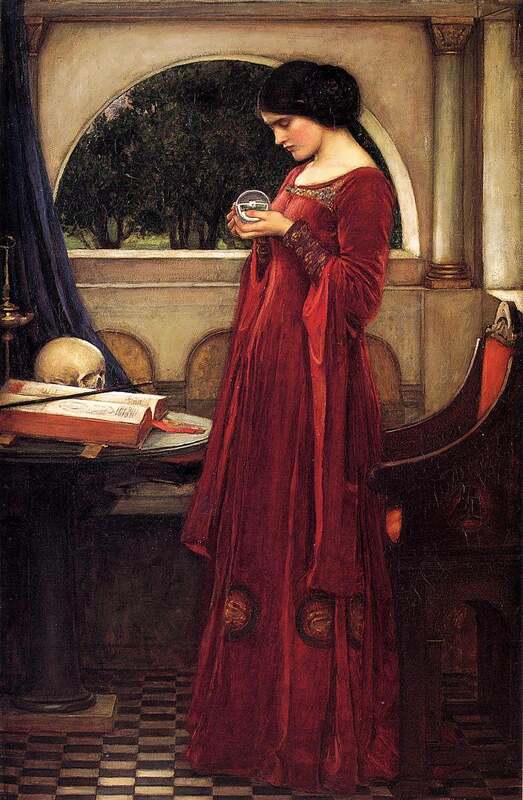 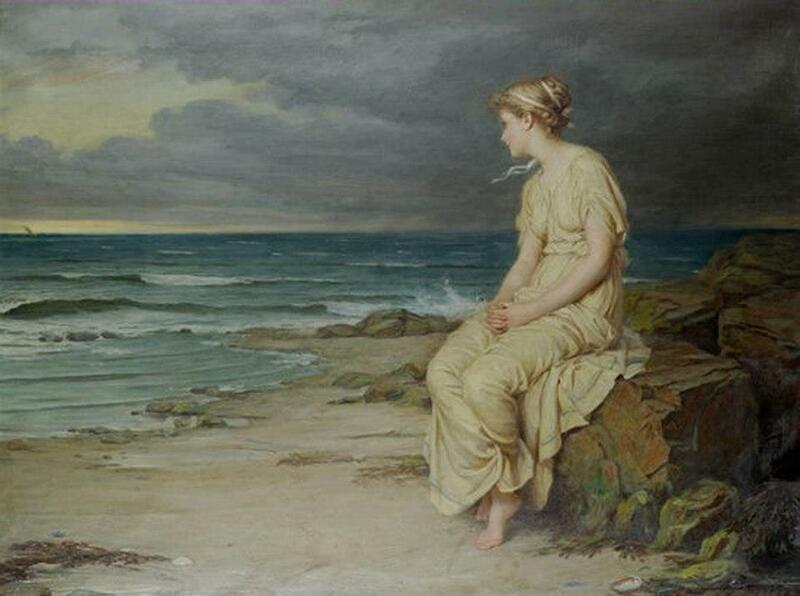 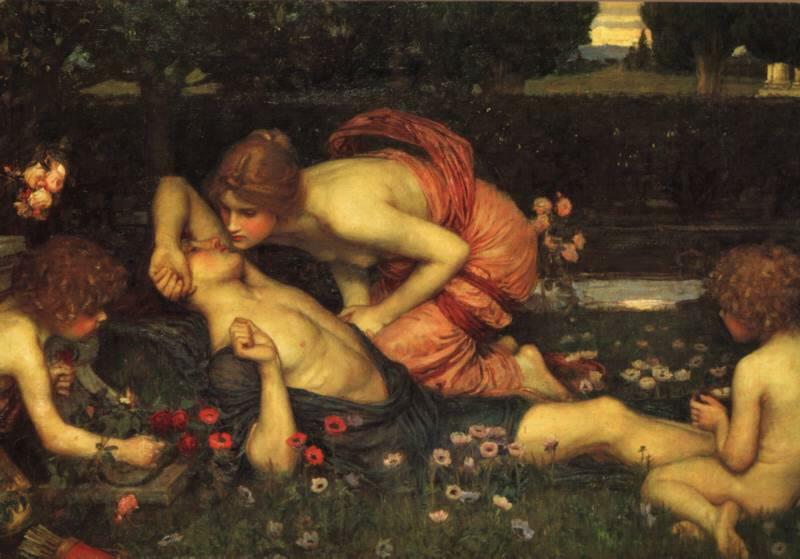 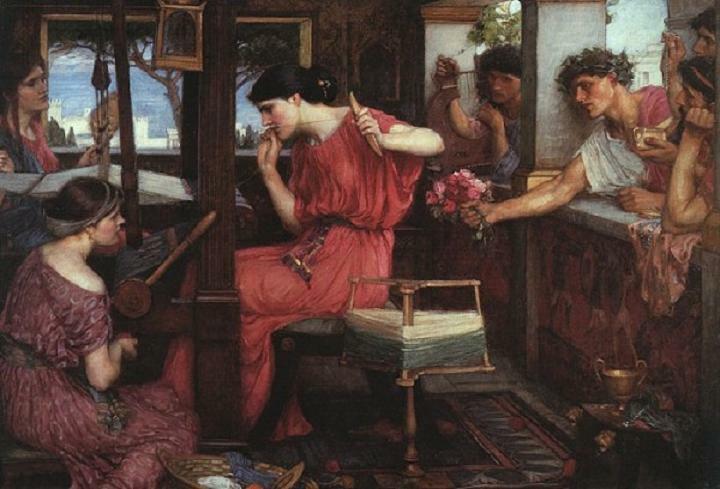 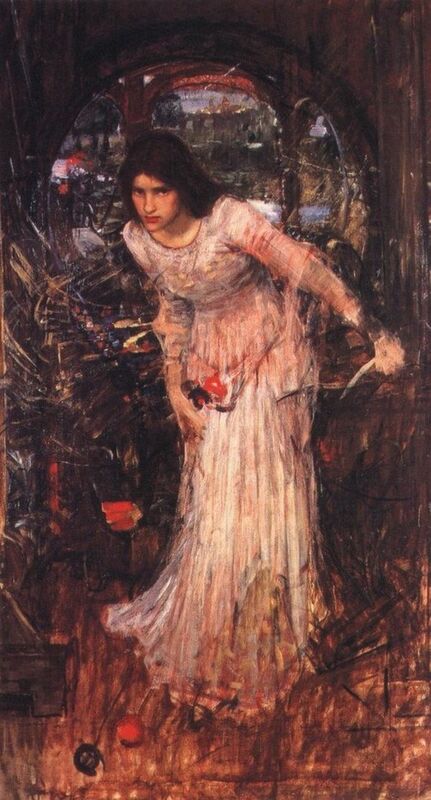 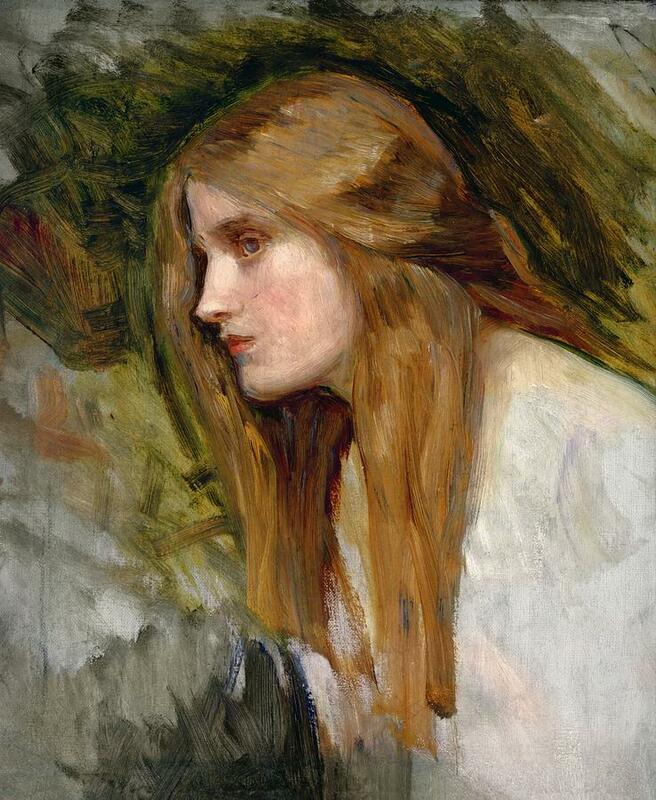 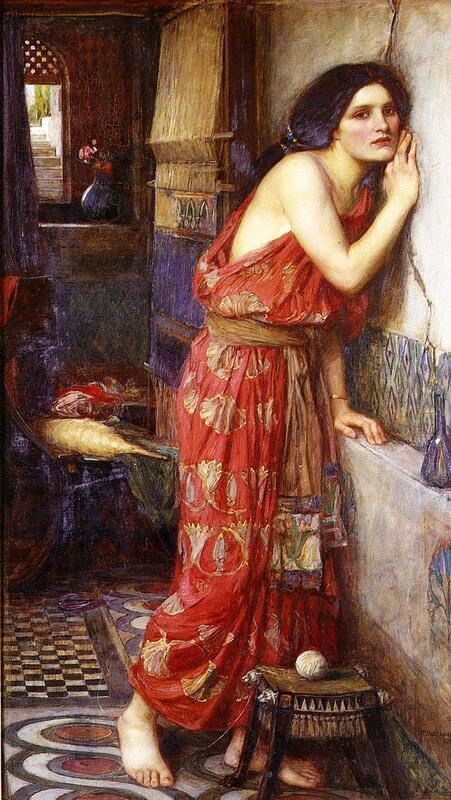 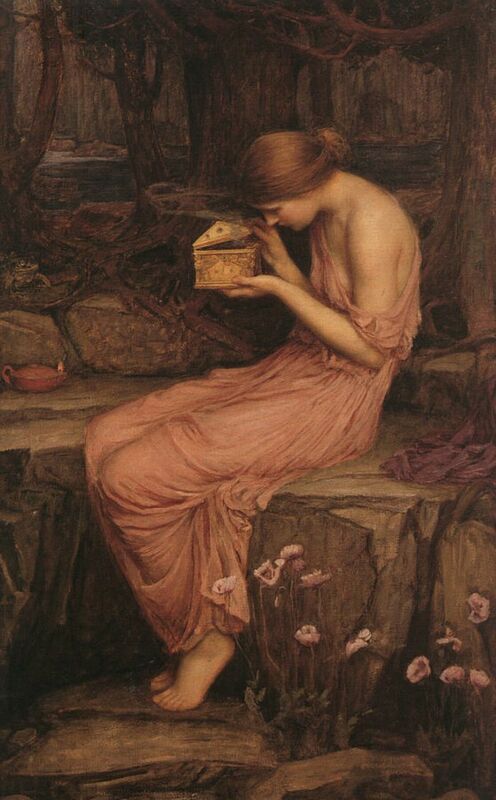 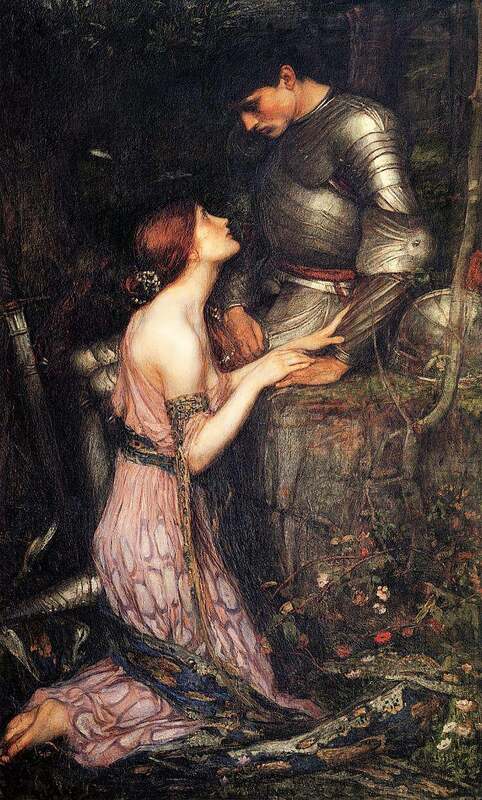 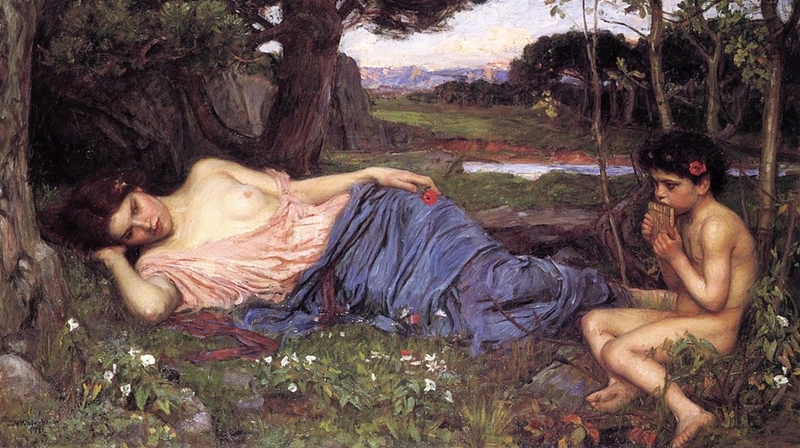 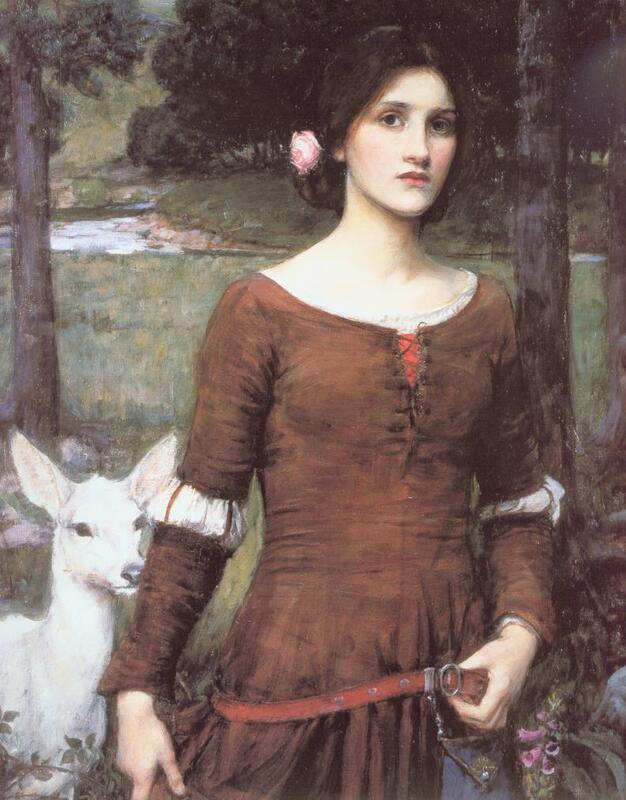 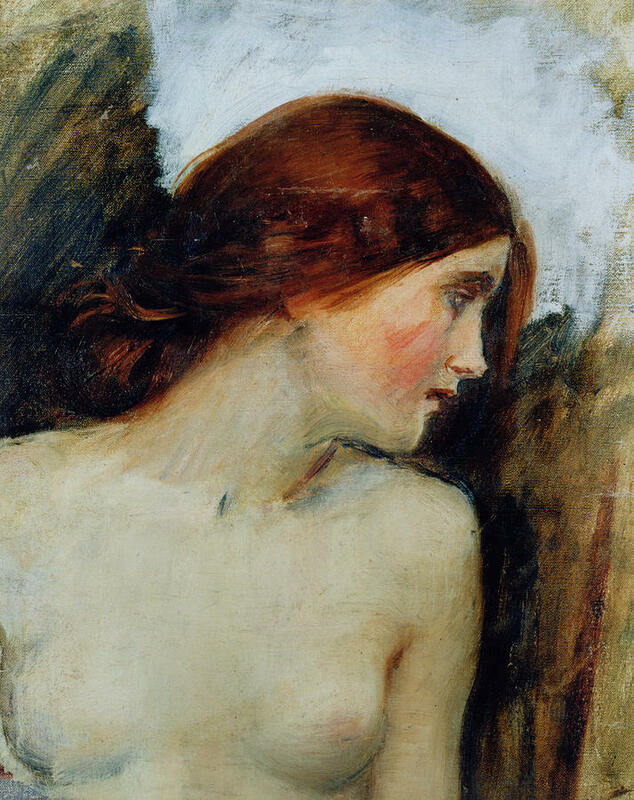 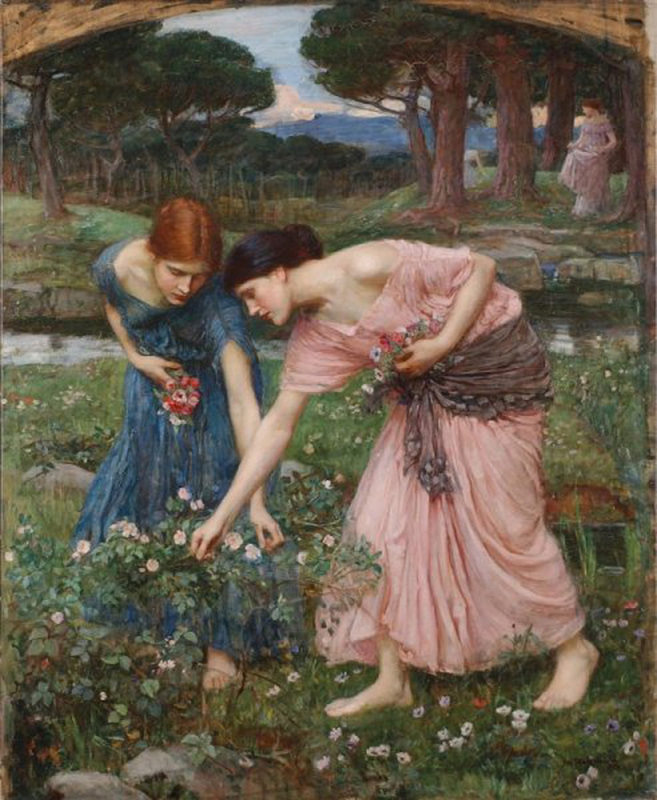 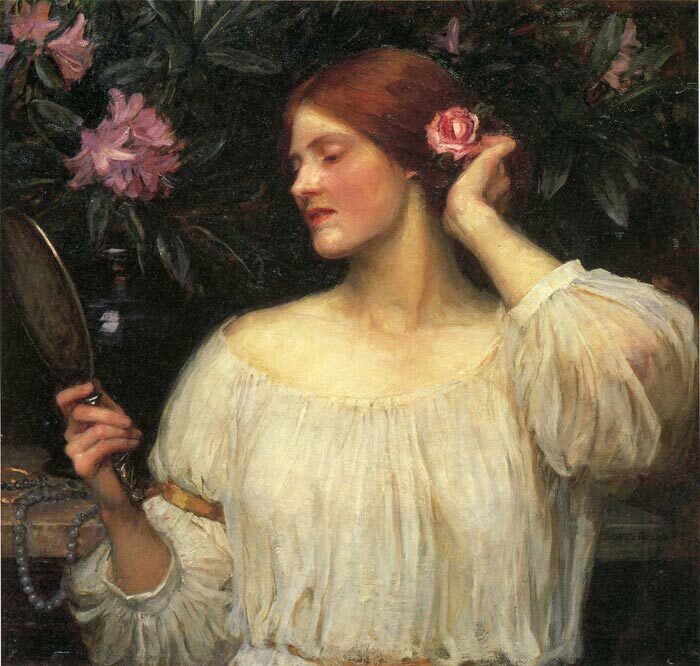 British painter of classical, historical, and literary subjects, John William Waterhouse [1849-1917] was born in Rome, where his father worked as a painter. 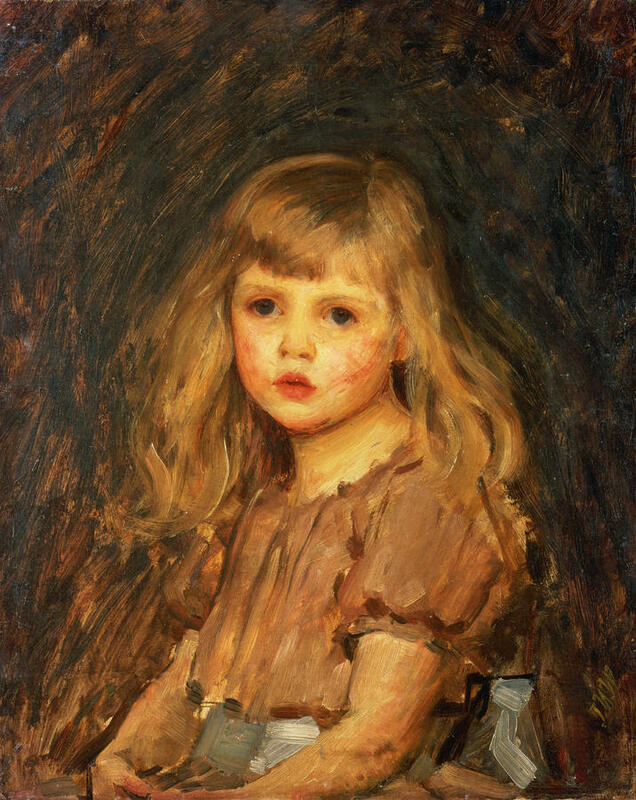 In the 1850s the family returned to England. 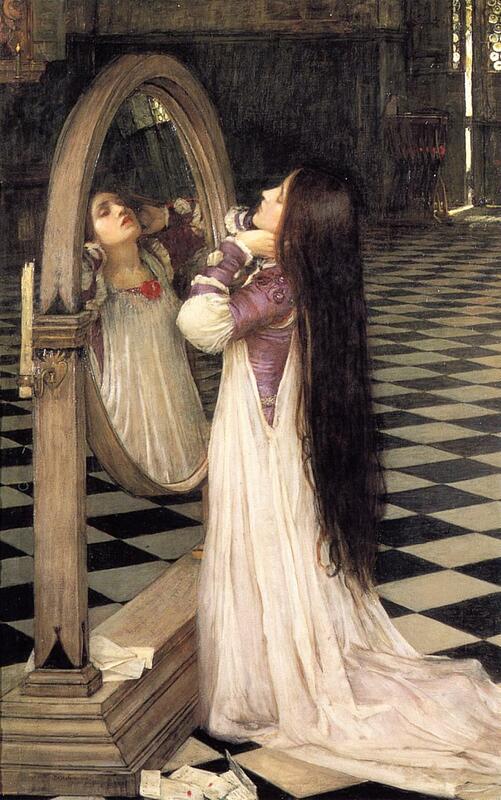 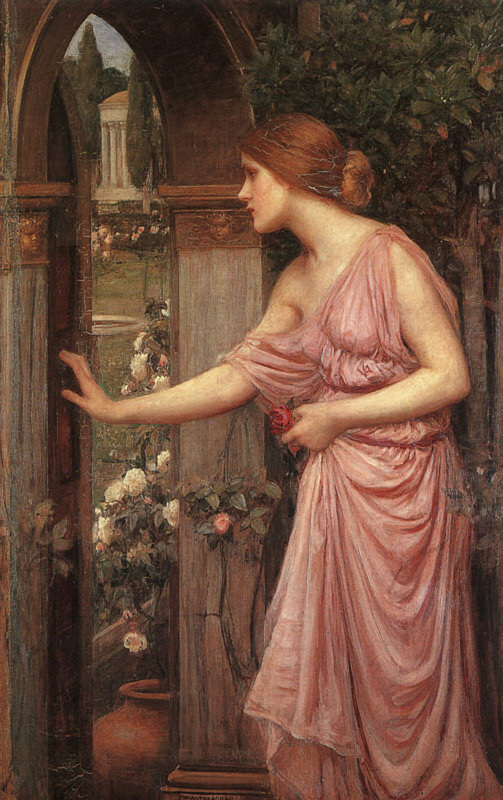 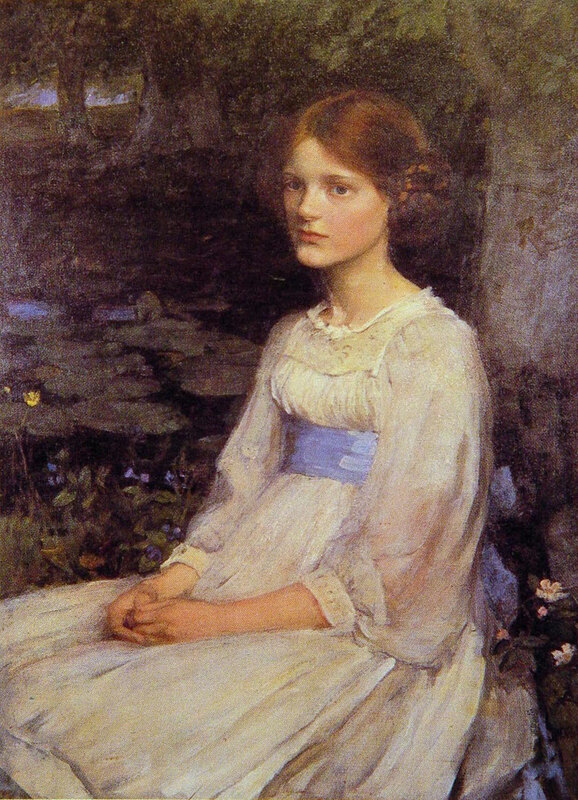 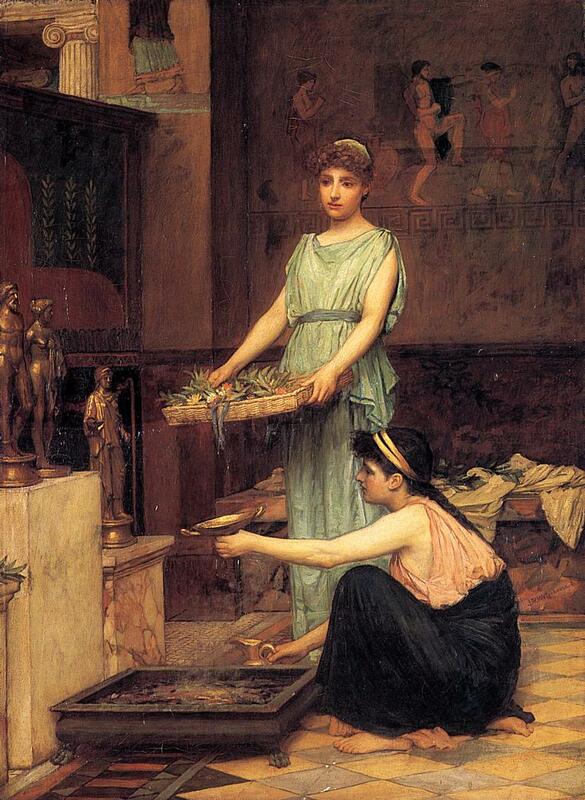 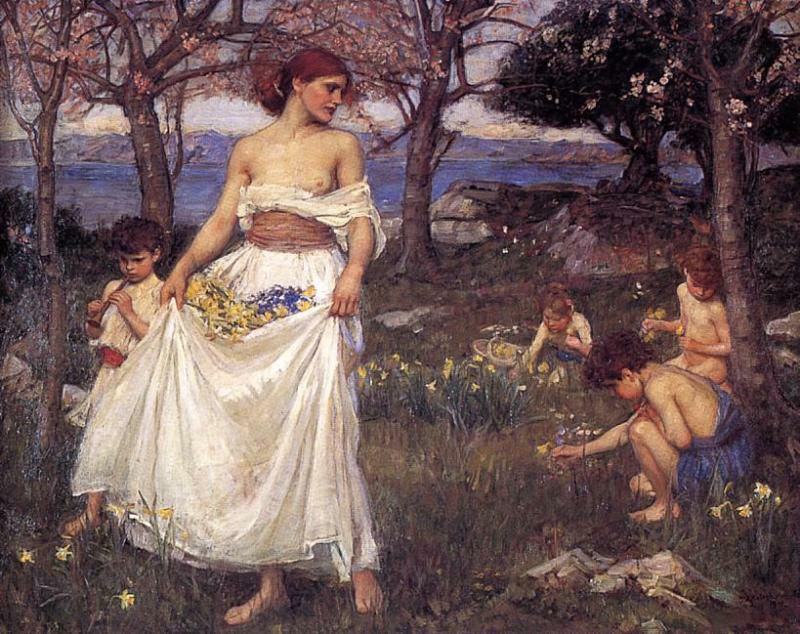 Before entering the Royal Academy schools in 1870, Waterhouse assisted his father in his studio. 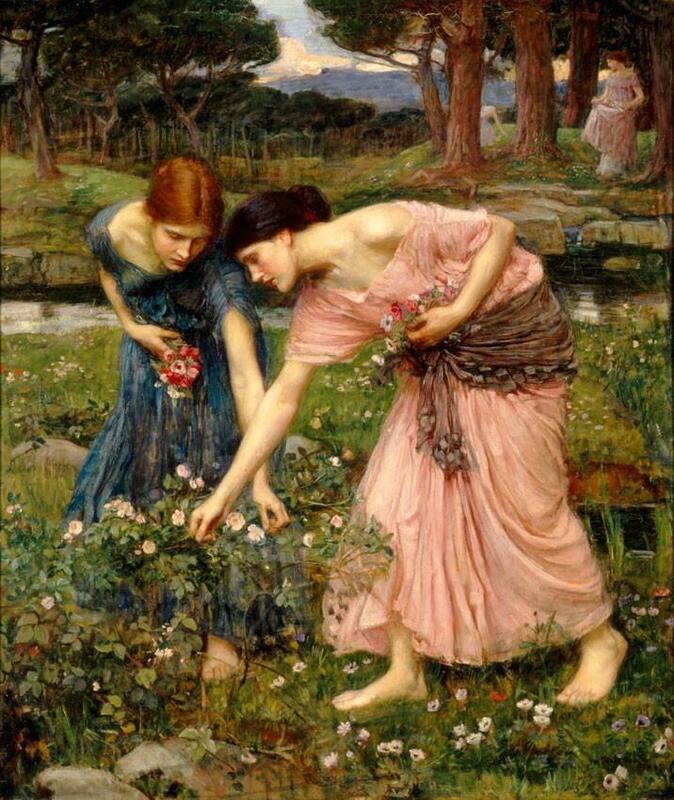 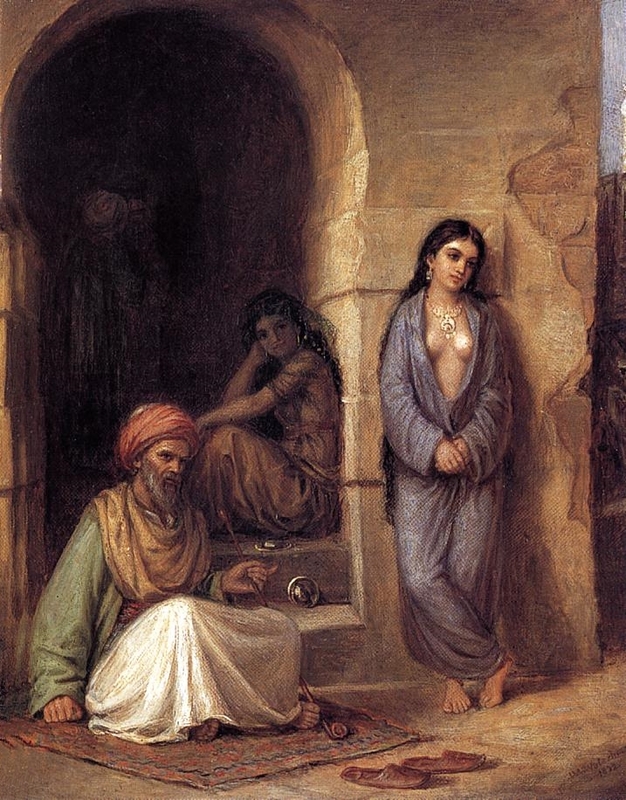 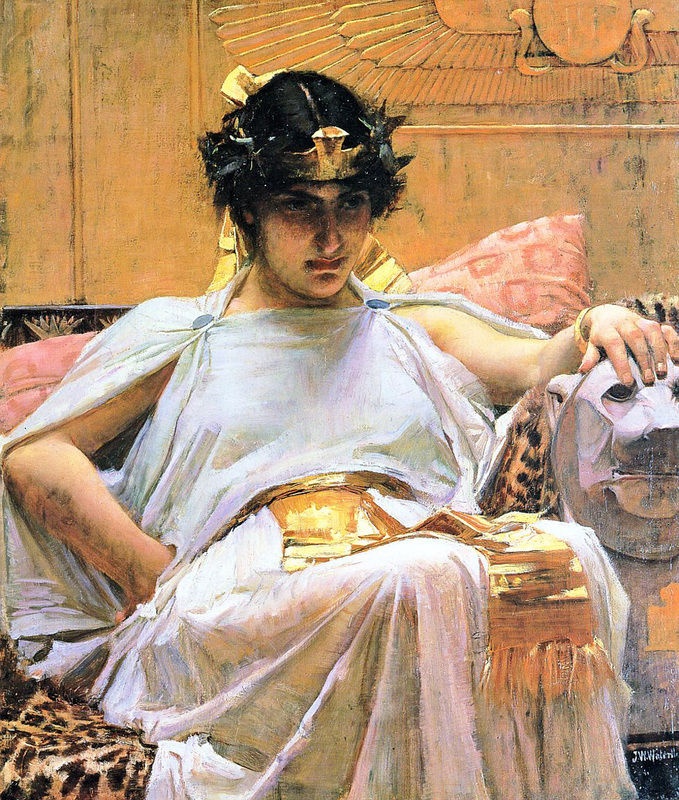 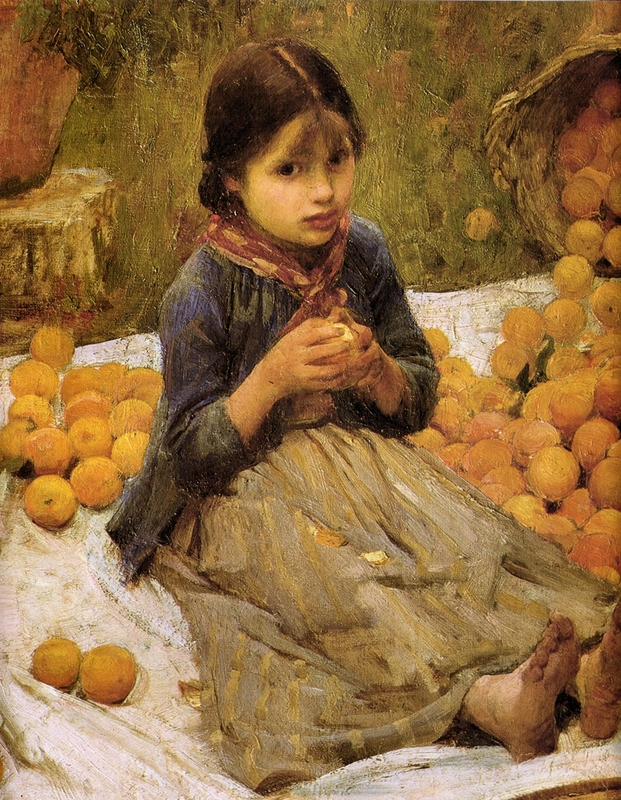 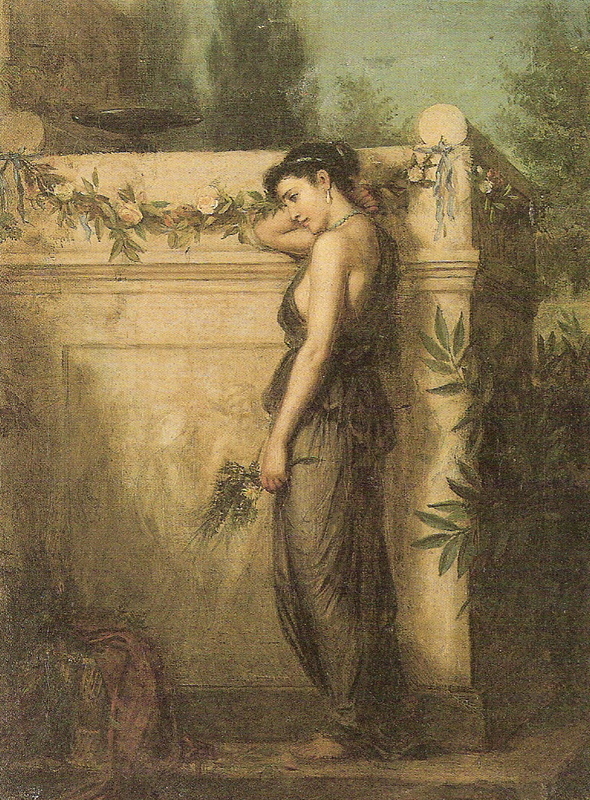 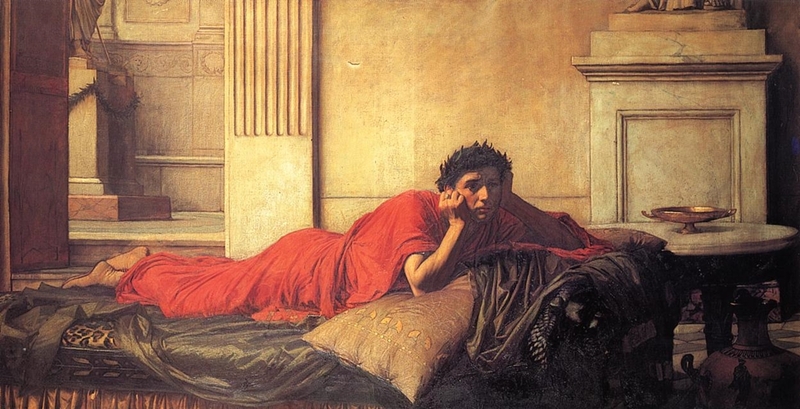 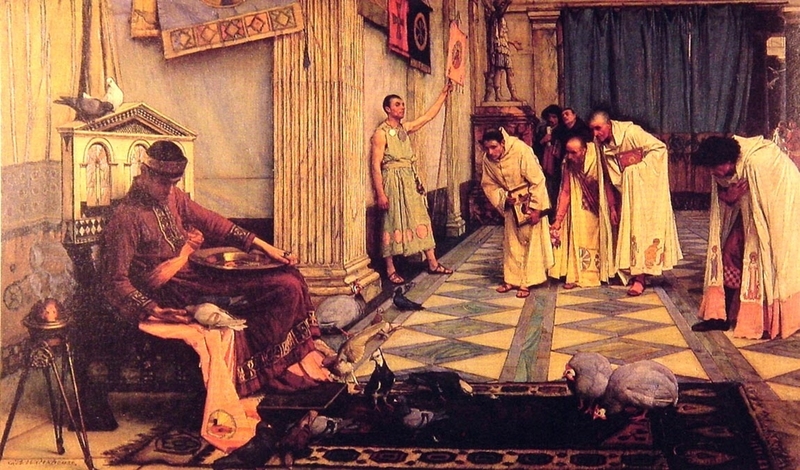 His early works were of classical themes in the spirit of Sir Lawrence Alma-Tadema and Frederic Leighton, and were exhibited at the Royal Academy, the Society of British Artists and the Dudley Gallery. 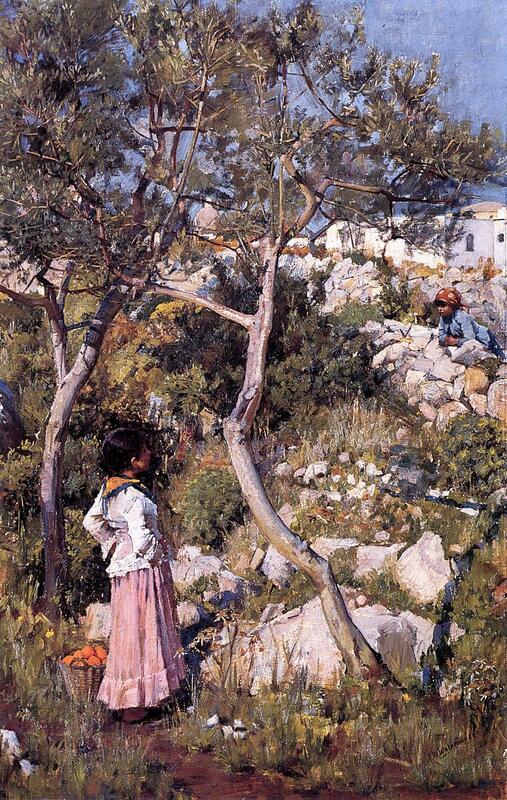 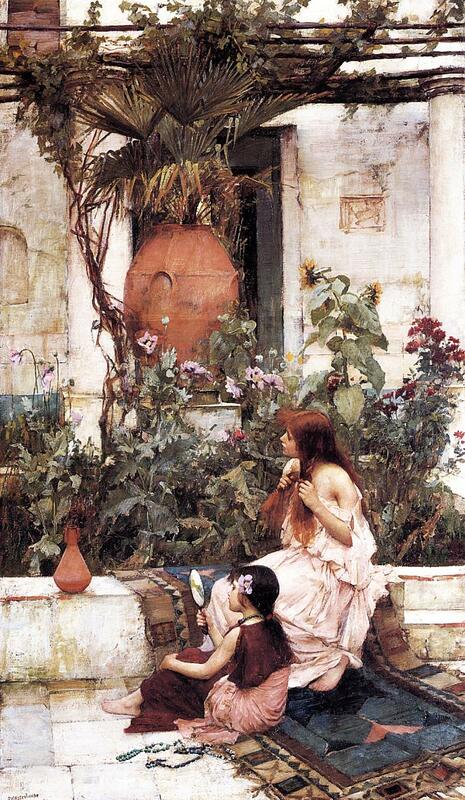 In the late 1870s and the 1880s, Waterhouse made several trips to Italy, where he painted Genre scenes. 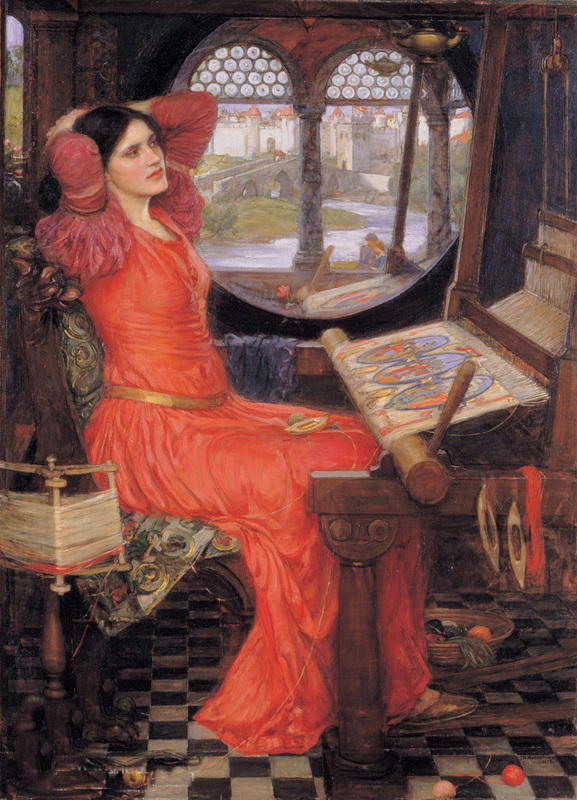 Future occupants of the same Primrose Hill studios would include the artists Arthur Rackham and Patrick Caulfield. 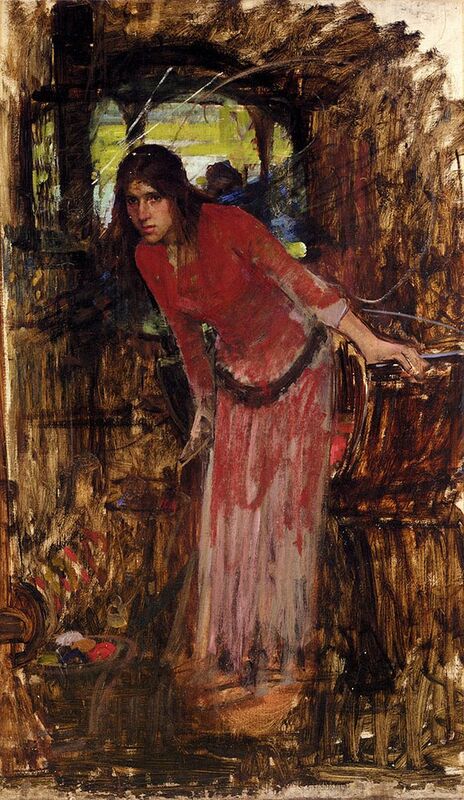 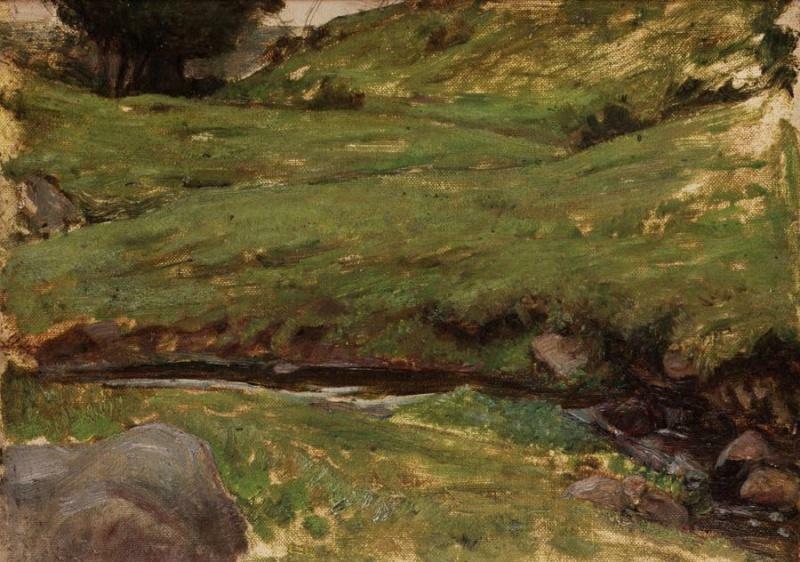 Waterhouse painted primarily in oils, yet he was elected to the Royal Institute of Painters in Watercolor in 1883, resigning in 1889. 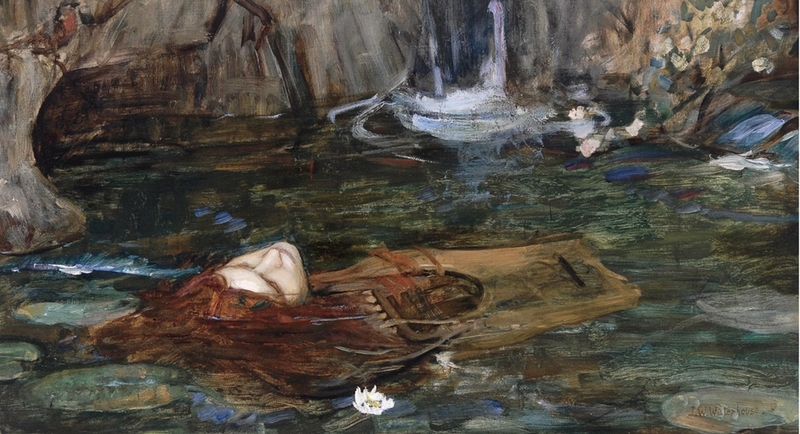 In 1884, his Royal Academy submission Consulting the Oracle brought him favourable reviews; it was purchased by Sir Henry Tate, who also purchased The Lady of Shalott from the 1888 Academy exhibition. 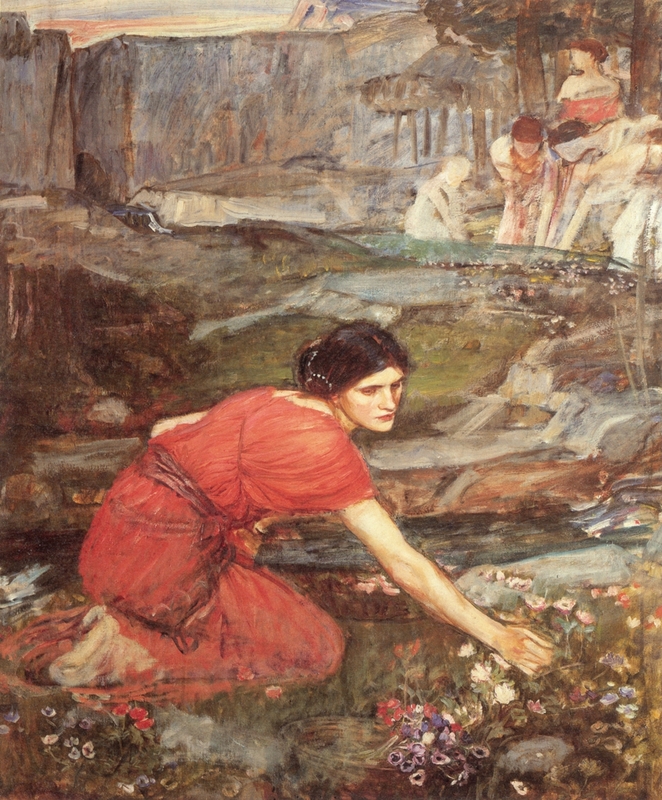 The latter painting reveals Waterhouse's growing interest in themes associated with the Pre-Raphaelites, particularly tragic or powerful femmes fatales, as well as Plein-Air painting. 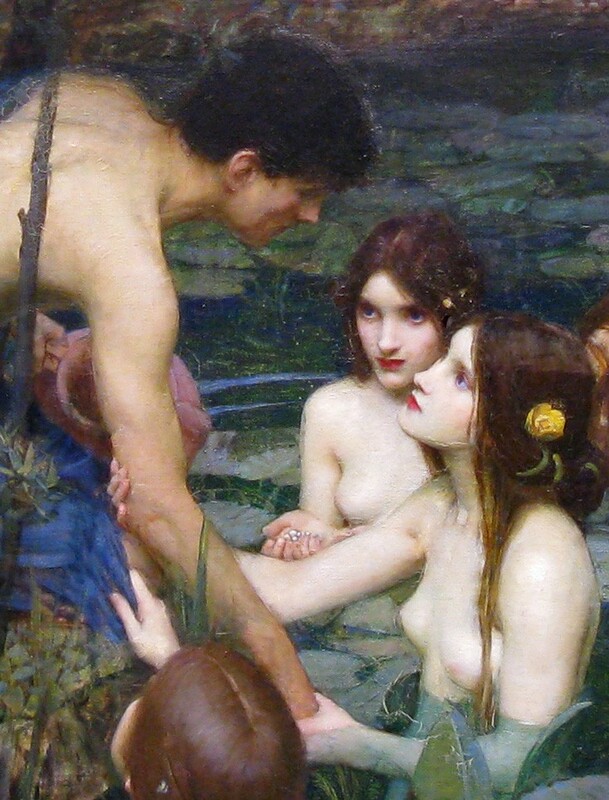 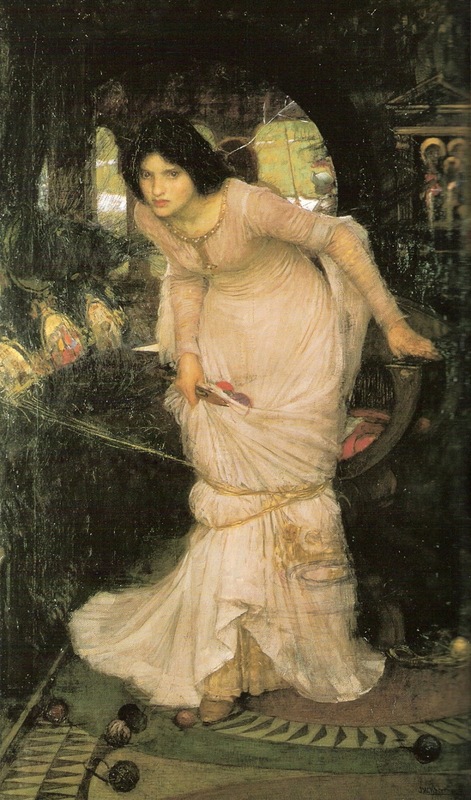 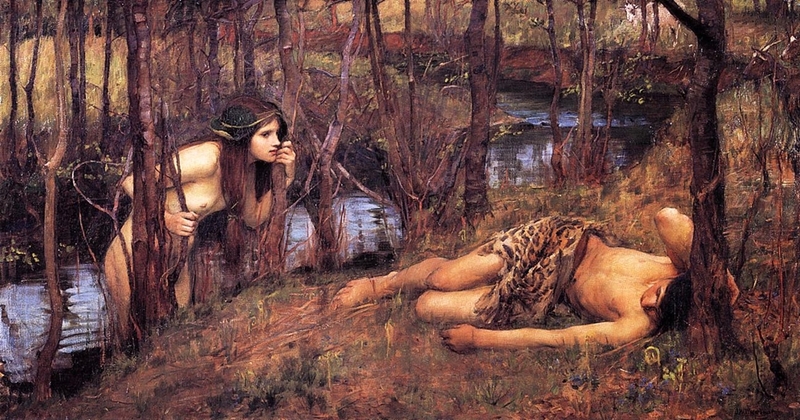 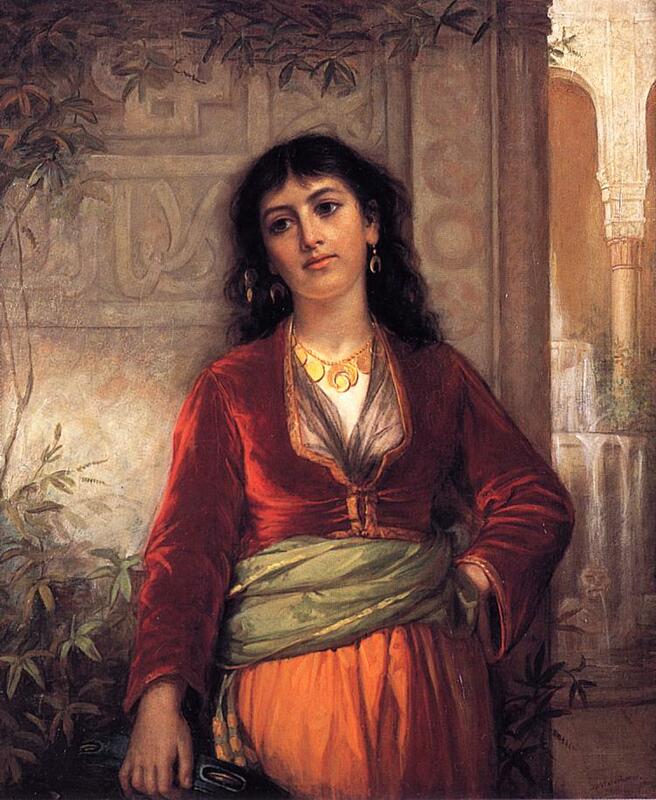 Other examples of paintings depicting a femme fatale are Circe Invidiosa, Cleopatra, La Belle Dame Sans Merci and several versions of Lamia. 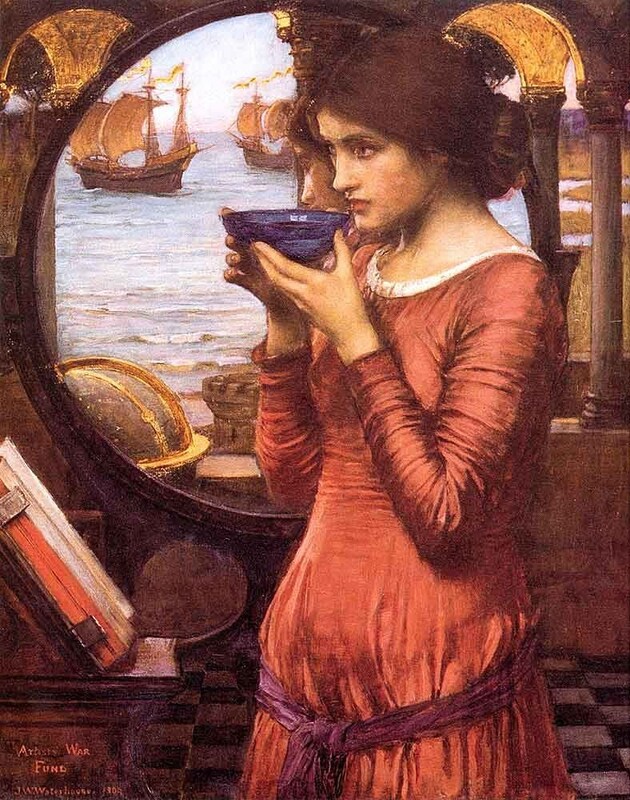 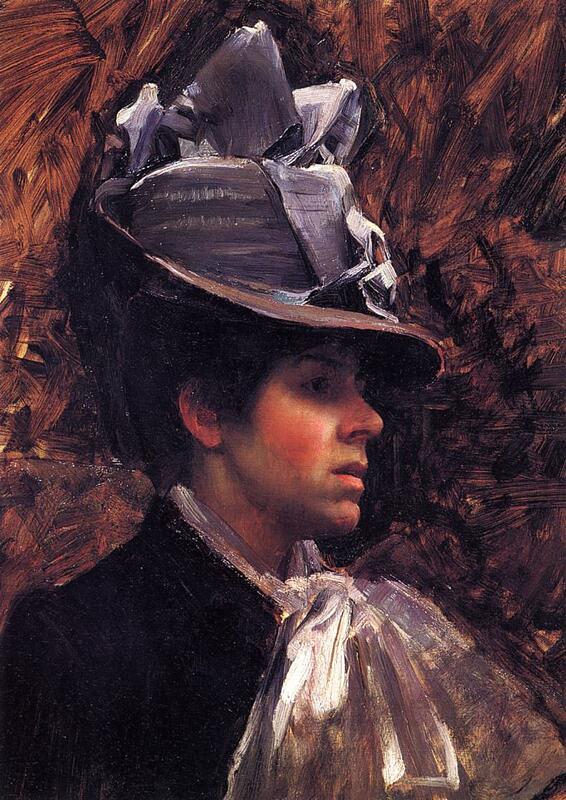 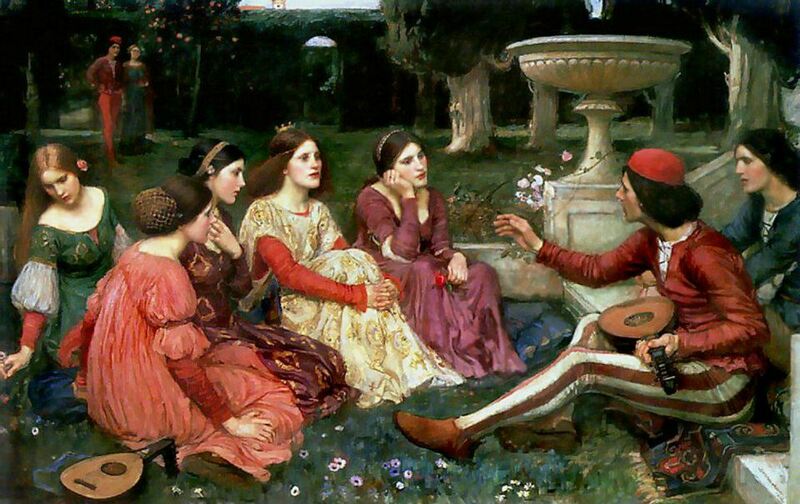 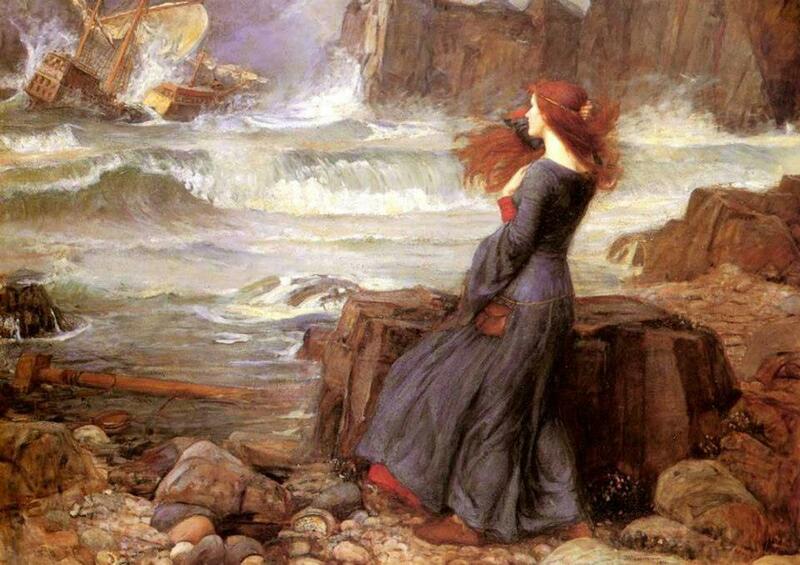 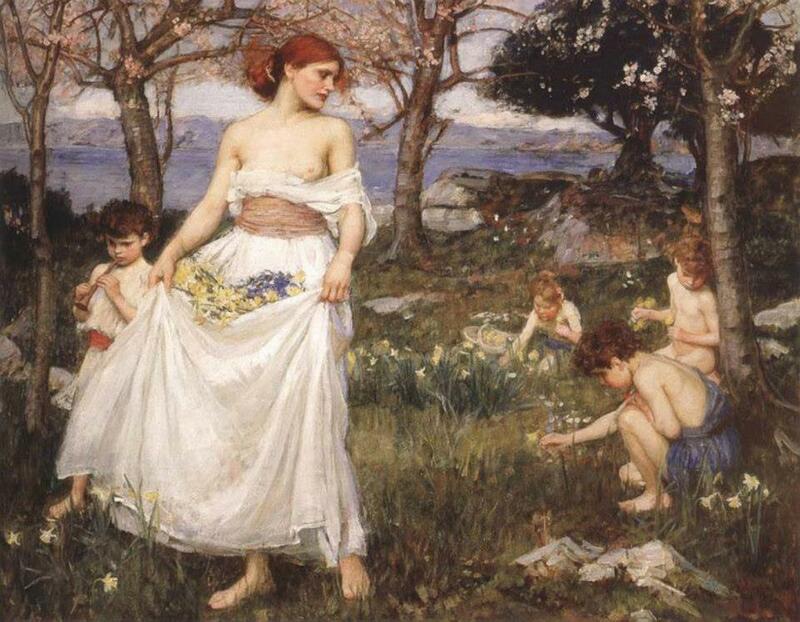 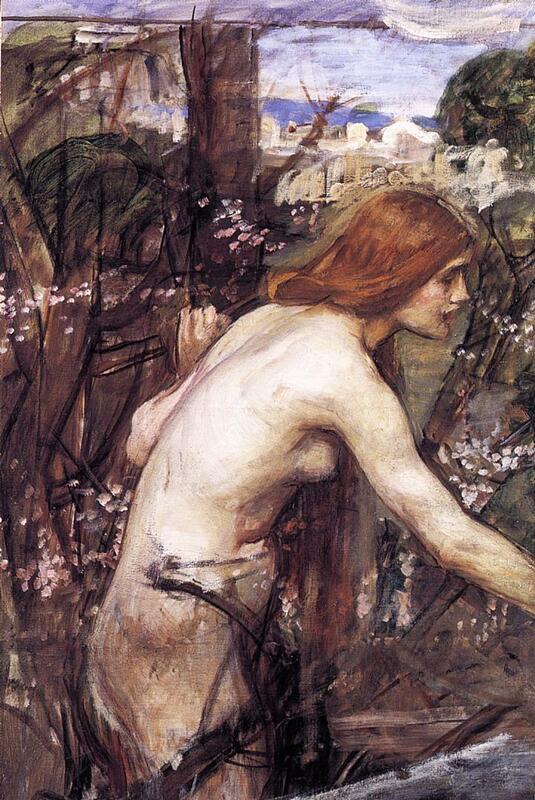 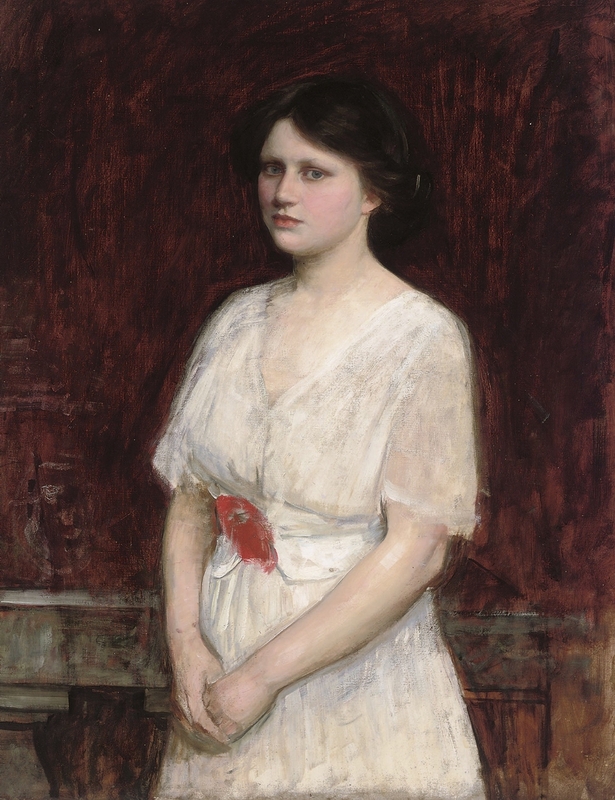 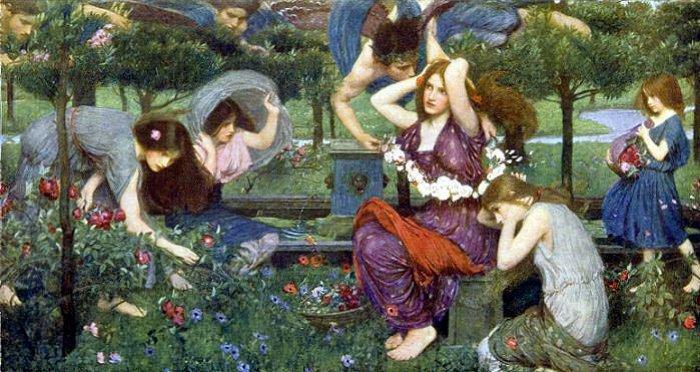 In 1885 Waterhouse was elected an associate of the Royal Academy and a full member in 1895. 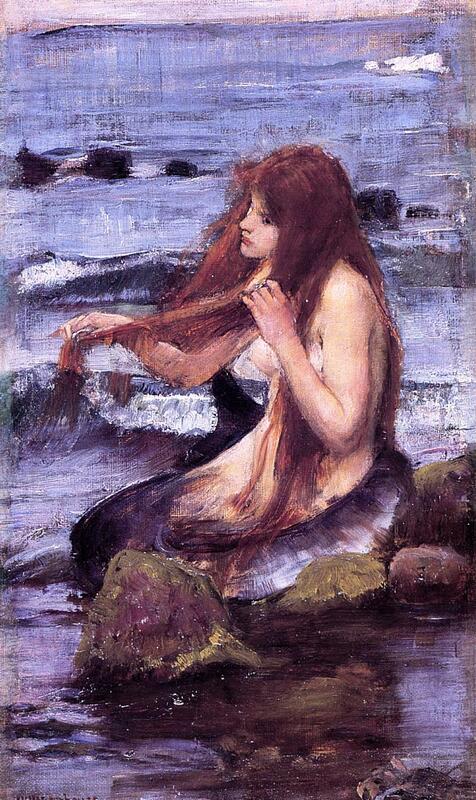 His RA diploma work was A Mermaid. 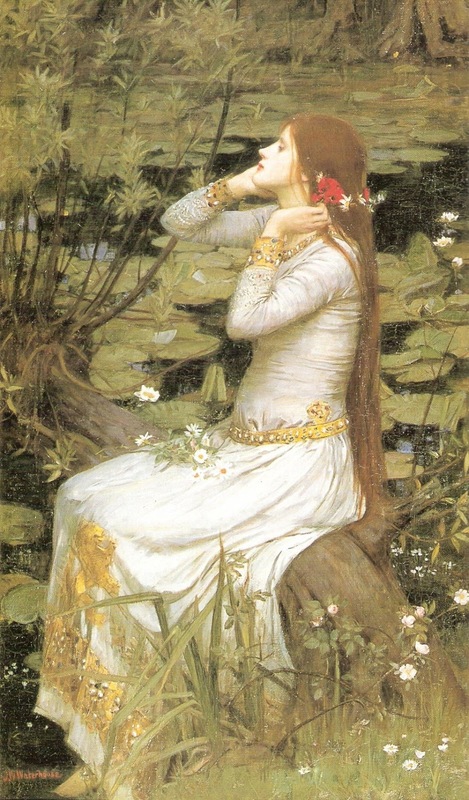 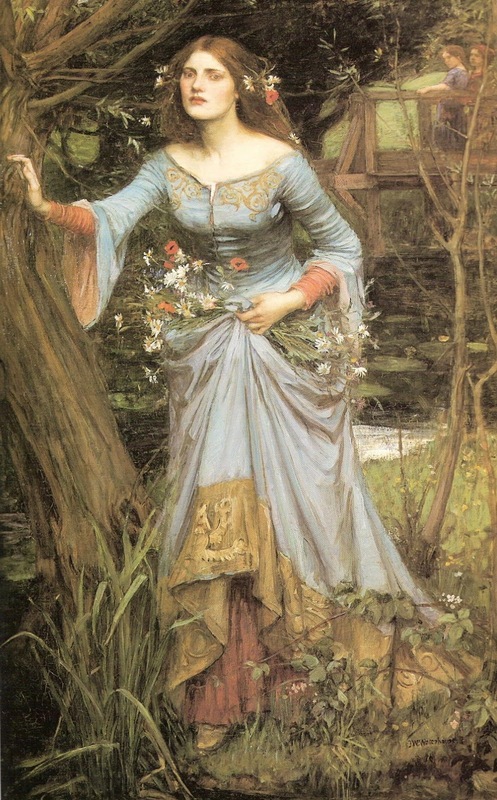 However, as this painting was not completed until 1900, Waterhouse offered his Ophelia of 1888 as his temporary submission [this painting was 'lost' for most of the 20th century-it is now in the collection of Lord Lloyd Webber]. 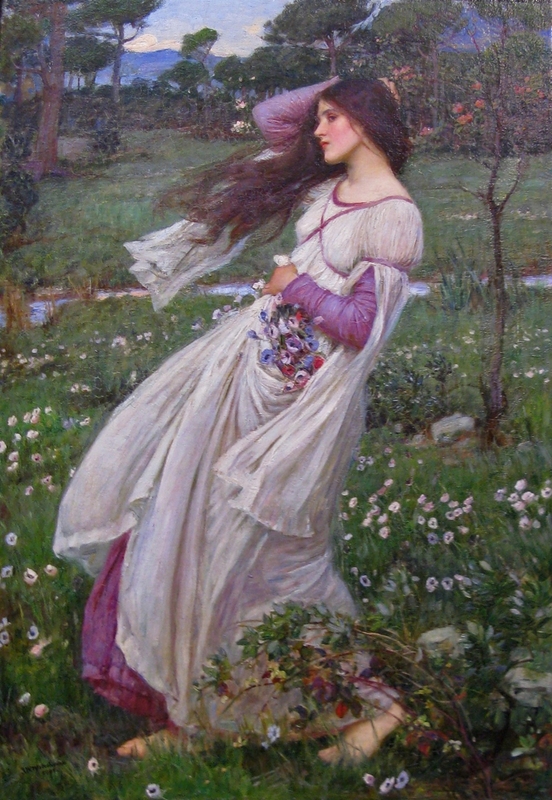 Waterhouse and his wife Esther did not have any children. 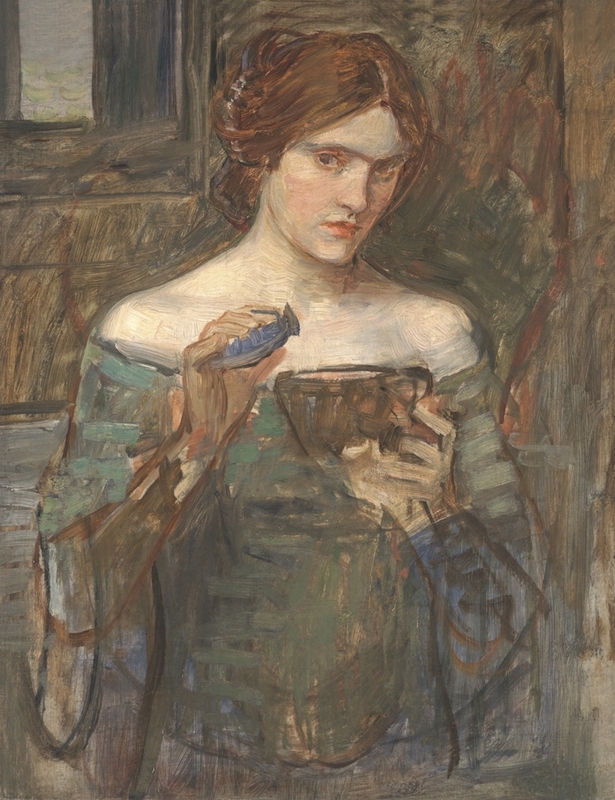 Esther Waterhouse outlived her husband by 27 years, passing away in 1944 at a nursing home. 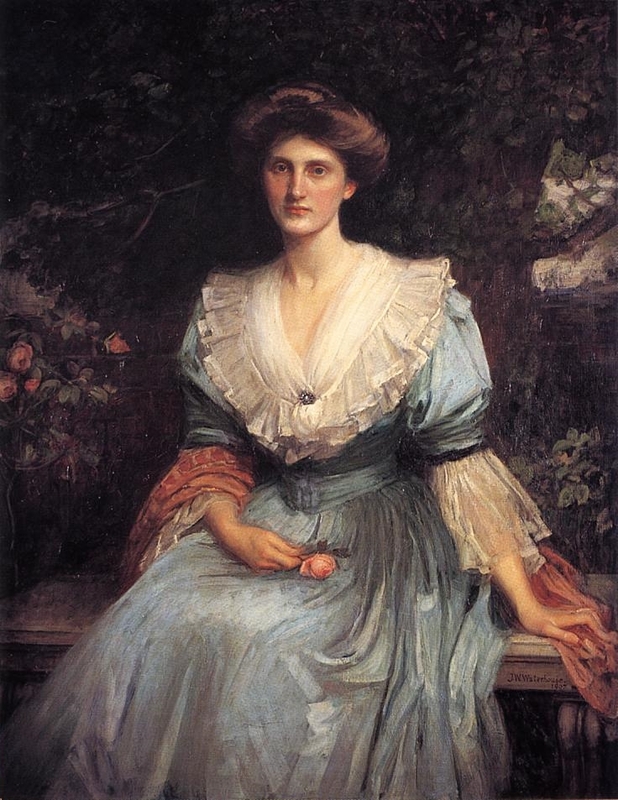 Today, she is buried alongside her husband at Kensal Green Cemetery in north London. 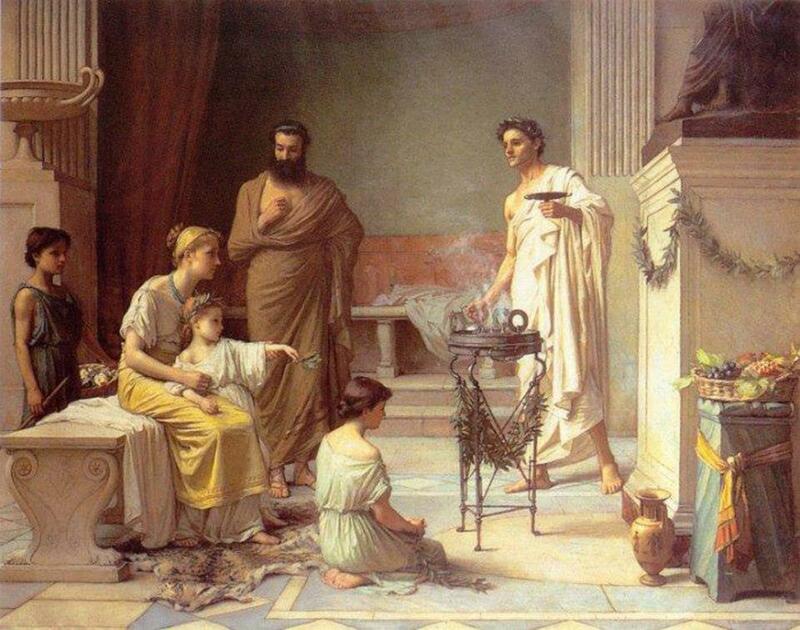 Waterhouse's great-nephew, Dr John Physick, has carried the Waterhouse torch into the 21st century and has shared some of his memories of his family on her website.